Samsung Turkey has some bad news for users of several Samsung smartphones that were looking forward to receiving Android 8.0 Oreo in the coming weeks. Through its official software updates page, the company had said that Android Oreo will begin rolling out to the 2017 Galaxy J family on July 13. In the report, it was mentioned that the Oreo update was “in the test phase” for the Galaxy J3 2017, Galaxy J5 Pro and Galaxy J7 Pro. With only several days left before this date, there’s been a change to the release date, which has now been pegged at September 28, 2018. It’s worth noting that the Turkish Galaxy J5 Pro and Galaxy J7 Pro are sold in other markets as the Galaxy J5 2017 and Galaxy J7 2017, respectively. If anything, this is when users of the latter duo can also expect to get Oreo. Also, the Galaxy A3 2017, Galaxy A5 2017 and Galaxy A7 2017 had been scheduled to receive Oreo on July 6, but like the Galaxy J 2017 family, there’s a change. Samsung Turkey now says the update will begin rolling out to the trio on August 10, 2018. Interestingly, a good number of markets have already received Oreo on these devices, including Europe. If this date materializes, it will be about four months since the first Galaxy A5 2017 got Oreo. 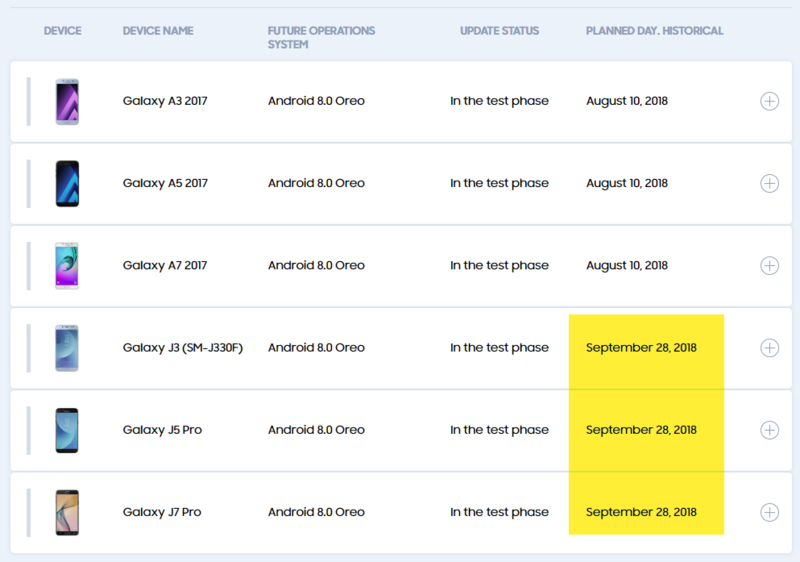 Looking at this delay for the Galaxy A 2017 family, we can argue that Samsung Turkey’s Oreo release dates for the Galaxy J 2017 family might also be different from other regions.